1. Know your audience. And by that I mean, it might not be the ideal time to bust out your fanciest, most elegant dishes. It's a football game, so if you're in the need of some chic, try whipping up classic game food with a twist. As always, Martha has the right idea. 2. Delegate. 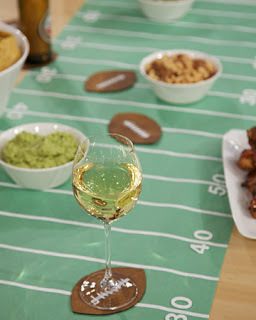 The last thing you want to do on game day is spend all morning in the kitchen when you could be soaking up the pre-game fun. Let some of your guests give you an assist. Ask them to bring a drink or a snacky to share. This is a great way to have a wide variety of crowd pleasers that you didn't have to slave all day to make. 3. Be Creative. Instead of the highly stylish, ultra-cool favors you might usually provide for your guests, consider a themed approach. Team tattoos, Mardi Gras beads, any little item that shows off your team spirit is perfect. Here in Wisco we're called Cheeseheads and you can find the iconic little image on just about everything! My favorite? These. And these. Cheap, adorable and oh, so much fun. 4. Have fun. The Super Bowl is fun, let's face it. Anything where people are coming together to root for the home team is fun. So sit back, relax and cheer your fool head off in the company of your closest friends. This will not be a hearts and flowers kinda post. I'm sorry about that, but sometimes, when touched by tragedy, we must become a support system for those we've never met. The title of this post is a line from my favorite poem. The Second Coming, by William Butler Yeats has come up in my life more than once. It has meant something new to me each time. Most recently, it has come to mind after I stumbled upon a story about a blog I used to read quite frequently. A woman I've never met lost her husband earlier this month. He took his life during a tragic psychotic break. She is left with two small children and a life forever scarred by tragedy. However this is her story, not mine. So I urge you to stop by her blog and read it for yourself. I can tell you I have been touched by this in a way that is both profound and difficult to explain. In this post, she shares with us her words at her husband's funeral. She urges us to speak, to look illness in the face and call it out. To refuse silence. I wish I could tell her that I will. I wish I could tell her that silence will never be right for my family again. I wish I had some witty words and clever phrases to comfort her in this...this struggle of hers. All I can do, is pass her story along to all of you in hopes that it may help her save someone's life. I love Corkulous! Like, I love it, love it. 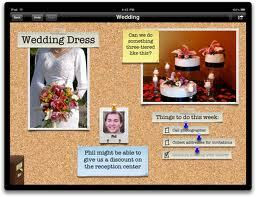 Corkulous™ idea board for the iPad gives you an incredible new way to collect, organize, and share your ideas. So, at $4.99, I would totally recommend Corkulous. It's a fun, stylish way to organize your thoughts and make them a little more mobile. I have put a little bundle of money aside (that I've saved up) for a little something for me. 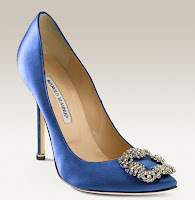 I haven't told the boy about it and I'm feeling a little guilty for wanting to spoil myself on our wedding day, but I'm thinking designer shoes might be fun. What do you think? 1. You should absolutely tell your honey about the nest...err, well shoe egg. I believe in honesty and transparency in a relationship. Besides, you aren't doing anything wrong. You put this money together, by yourself, aside from what you're contributing to the wedding expenses. Do not feel guilty for wanting to spoil yourself a little bit. We should all do it once in awhile. 2. Omg (that's right, I used "omg", so sue me) designer shoes ARE fun! That was my present to myself on our wedding day. Fab golden pumps. Love! My only advice here is, don't forget to break them in before the big day! Start by wearing them around the house for 5 minutes a day. Work your way up to an hour in 5 minute increments. Ok, so I got a little carried away, but aren't they beautiful? Especially those teal Kate Spade Kamille pumps. My friend just snagged them for her wedding and believe you me, this photo does not do them justice. Have fun, lady! You deserve it! In honor of teaching myself Japanese in 2011, I thought I might share with you one of my favorite designers, with ties to The Land of the Rising Sun. Established in 1982 by designer, owner, and president Tadashi Shoji, the Los Angeles-based fashion house Tadashi has become widely recognized for its original designs and innovative collections. The company has seen steady growth since its inception and is carried in more than 4,000 major department and specialty store doors worldwide, including Neiman Marcus, Nordstrom, Saks Fifth Avenue, Bloomingdale’s, and Macy’s. Internationally, the brand is available at high-end retailers such as Isetan, Epoca the Shops, and Anniversaire Omotesando. These are my two favorite looks from the Spring 2011 collection. The beauty literally kills me dead. Now, I know this will sound a little Miss. Haversham-ish, but if that flutter sleeve wrap dress found its way into my closet, I would never take it off. Now this. I. Die. I'm especially in love with the detail on this dress. It's a perfect example of pizazz without forcing beads and/or rhinestones down anybody's throat. As incredible as this dress is, I feel the need to advocate for the use of proper undergear. That's right, I said undergear. And I mean it. In this case, daring drama and impeccable elegance comes at a price. Now, we know that the man gives good gown. 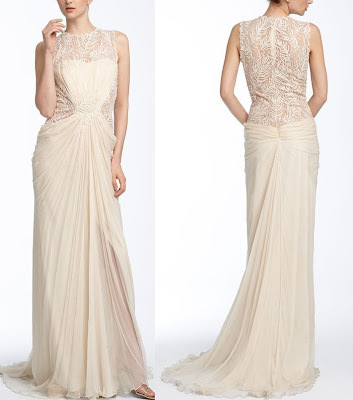 I can also tell you that Tadashi Shoji also makes cocktail and party attire fit for all the women in your wedding life. Moms, 'maids, guests, you name it. What? I can't be expected to give you everything, can I? Get your stylish little behind to the website or to any of the retailers mentioned above and see for yourselves! If you know me, you know I can be more than a little opinionated and I've decided to address that in another new segment for 2011 (I am on fire, y'all!)! 'Trend or Foe' will be a fun little look at current wedding "trends". First up: The Reception Dress. I know a lot of brides this season who are choosing two dresses, one for the ceremony and one for the reception. Personally, I love the idea. Some think its a little gauche. What do you think? A little lovely from Melissa Sweet for Priscilla of Boston. A little heat on a chilly day from Teri Jon. Love! Now, tell me....Trend or Foe? Goldiluxe is careening into the digital age, my friends! 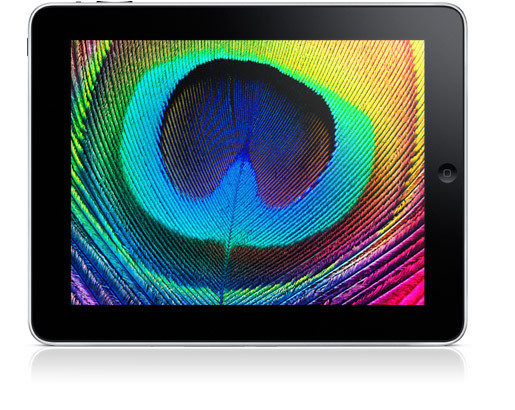 The Hubbs got me an iPad for Christmas and I couldn't be happier with it. Despite the current lack (as far as I can tell) of an event design app for professionals, I have found so many things that I can use to make my client meetings and design on the go super easy and convenient. With that said, I have decided to introduce a new segment here at Goldiblog called 'Technoluxe.' With so much information so readily available to the bespoke these days, I thought it would be fun to help out. That's where Technoluxe comes in. I will be reviewing apps for iPad and iPhone and sharing my ideas with you! What do you think of that? The first installment will be featured next week. "What's first on the list", you ask? 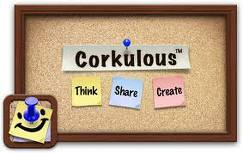 Why, Corkulous of course! I can't wait! You Asked For It: Love and Support? We love Goldiluxe and we love you. However, we don't see anything about GLBT weddings and unions. What's the deal? We are looking for a wonderfully personal experience and we think you could give that to us, but we need to be comfortable with you as a person first...see, I told you we read your blog. Goldiluxe Events celebrates, embraces, stands alongside and shines a great, big follow spot on love; nothing more, nothing less. As a person, I believe that love, unlike many other things in this wonderful world of ours, has the unique ability to transcend boundaries, creeds, ethnicity and politics. In love, we have the possibility for understanding, for healing, for peace. Goldiluxe exists, as I said, to shine a light on love and showcase it to the world. Not to serve as a springboard for a political agenda. Unfortunately, we live in a society that is constantly forcing us to politicize our love, and as such, I feel I need to stand in solidarity with those facing discrimination. As a wedding professional, I am learning all the time. I have examined and revised the language in my contracts and promotional material. I have learned the most from listening to and reading the testimonials of GLBT couples. From their unique and beautiful stories, I am better able to understand my GLBT couples' unique needs and give them the event they deserve. GLBT events are absent from Goldiblog for one simple reason: I haven't been fortunate enough to be involved with one. You deserve a wonderfully personal experience. You deserve a blissful celebration of your love. Everyone does. If you decide to meet me and if you decide to invite me to be a part of your special day, I will do my best to give you what you deserve. Whew. I did get a little wordy, didn't I? Thanks for hanging in there til the end, lovelies. 1. Green Wedding Shoes. Love, love, love this blog! 2. Style Me Pretty/Little Black Book Blog. Love! A constant source of inspiration and beauty. 3. Plumage Blog. Wedding advice and inspiration for the size-positive. 4. Ritzy Bee Blog. Just beautiful. You cannot read this blog and NOT be mesmerized by the brilliance! 5. 100 Layer Cake. This was the first wedding blog I ever saw. I was referred there by a recently married friend. It was love at first click. It's just great. The featured wedding this am is super swoon-worthy, too! 6. Sweet Designs by Amy Atlas. Amy Atlas is one of my entertaining idols. I love the way she inspires so many people to make their gatherings just a little more spectacular. 7. Offbeat Bride. This blog is outstanding. It really is a haven for couples with a little too much awesome for more traditional wedding avenues. 8.Rock and Roll Bride. Like Offbeat Bride, this site is just fantastic. I really can't say enough great things about this little internet gem. There you have it. I hope this helps you, doll. I love so many blogs and the world is filled with so much brilliance...it's hard to pick just ten.